Those were the most frequent requests when we asked users what they needed to improve imaging productivity and quality in point-of-care applications. The NextGen LOGIQTM e's imaging engine comes from GE's flagship console systems, delivering crisp images in a compact package. Point-of-care-specific software and transducers help to see the needle to administer a block or perform an aspiration quickly, even in an obese patient. When productivity matters, you can control the console from the transducer - potentially eliminating the need to have a second person assist. Anatomy-specific presets and the ability to display only the functions you need means you can focus on the patient rather than the control panel. It's durable and compact for easy portability yet features a large, user-friendly, high-res color display. NextGen LOGIQ e is a configuration of LOGIQ e.
See clearly. See quickly. Guide precisely. 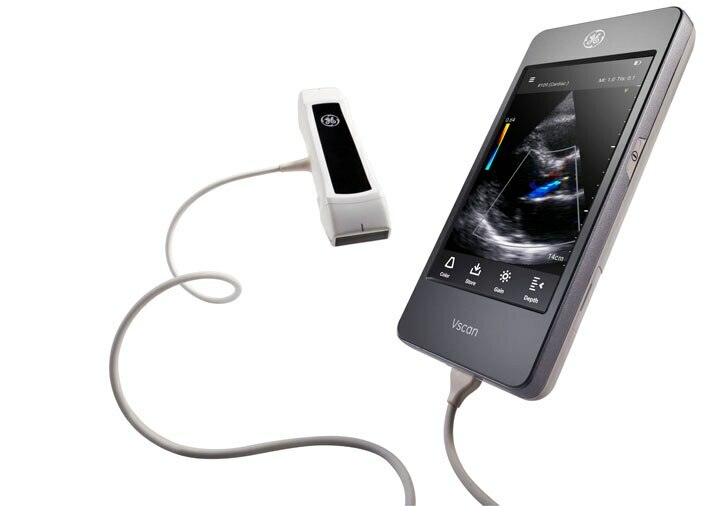 Those were the values users requested that drove the creation of the NextGen LOGIQ* e. Its imaging engine comes from GE's flagship console systems, delivering crisp images in a portable package. Point of care specific software and transducers help to see the needle to administer a block or perform an aspiration quickly, even in an obese patient. When productivity matters, you can control the console from the transducer - potentially eliminating the need to have a second person assist. Image almost the whole body - and almost any body. The 1-5 MHz curved transducer provides penetration for deep structures, even in an obese patient. Other transducers image up to 22 MHz for stunning superficial detail. See clearly. See quickly. Guide precisely. Those were the values users requested that drove the creation of the NextGen LOGIQ e. Its imaging engine comes from GE's flagship console systems, delivering crisp images in a compact package. Innovative anesthesia-specific software and transducers help you see the needle and administer a block, even in a brightly lit room. Detect slow flow. Quantify it. Repeat with consistency. Those were the values users requested that drove the creation of the NextGen LOGIQ e. Its imaging engine comes from GE's flagship console systems, delivering crisp images. Innovative image fusion and quantification help bring objectivity to patient evaluation, enabling you to monitor progress in a technically consistent way as you treat to the target of remission. Image almost the whole body - and almost any body. For demanding superficial imaging, pick up the new 22 MHz linear probe. Image deep in the hip with the 1-5 MHz curved transducer, and explore hard-to-reach areas with the high-frequency Hockey Stick. 1. 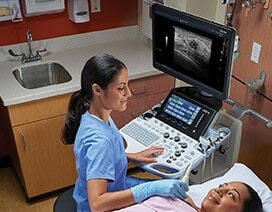 As compared to GE's Power Doppler Imaging, High-Res PDI has twice the axial resolution on the NextGen LOGIQ e when using an L8-18i transducer with a phantom. See clearly. See quickly. Guide precisely. Those were the values users requested that drove the creation of the new NextGen LOGIQ e. Its imaging engine comes from GE's flagship console systems, delivering crisp images in a compact package. Innovative head-and-neck software and transducers help you perform time-sensitive biopsies and lymph node characterization procedures without complexity. See clearly. See quickly. Guide precisely. 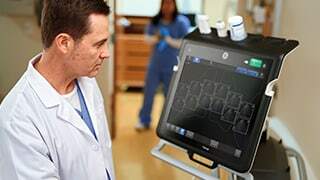 Those were the values users requested that drove the creation of the NextGen LOGIQ e. Its imaging engine comes from GE's flagship console systems, delivering crisp imaging in a portable package. Innovative musculoskeletal-specific transducers and software help you see the source of pain, guide treatments and monitor patient progress. Image almost the whole body - and almost any body. 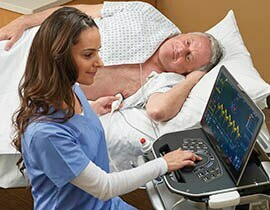 The 1-5MHz curved transducer is versatile for applications from the shoulder to the hip, even in an obese patient. Other transducers image up to 22 MHz for stunning superficial detail. 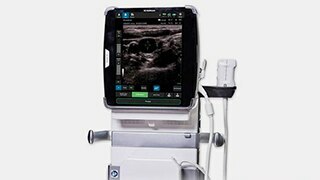 1.Any transducer applies to all transducers that have been validated on the NextGen LOGIQ e.
Watch a variety of instructional videos highlighting system overview, key features, image optimization and more for the NextGen LOGIQ e Ultrasound System.